A new team and a new position and Jose "Cheo" Garcia's prospects were looking up. He had spent five seasons in the Twins organization, helping AA Orlando to the 1991 Southern League championship. But he'd only gotten a taste of AAA ball. With the Red Sox organization in 1993 he'd gotten to spring training and played well enough to be assigned to AAA Pawtucket. By August, the prospects were still there, but Garcia had been slowed by injury. The Venezuelan native was originally signed by the Twins in 1988. He began his tour of the Twins system at rookie Elizabethton, hitting .259. 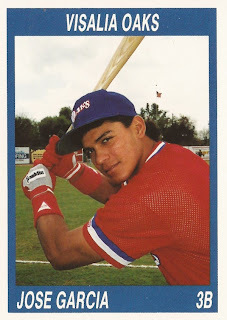 The next year he was at Kenosha hitting .235, then it was high-A Visalia for 1990, where he hit .274. He made AA Orlando in 1991, where he would return for 1992. He hit .282 in the Sun Rays championship year, .258 the next. In one June 1991 game, Garcia hit a bases loaded triple to help his team to a 5-1 win. He even made the AA All Star Team in 1991. 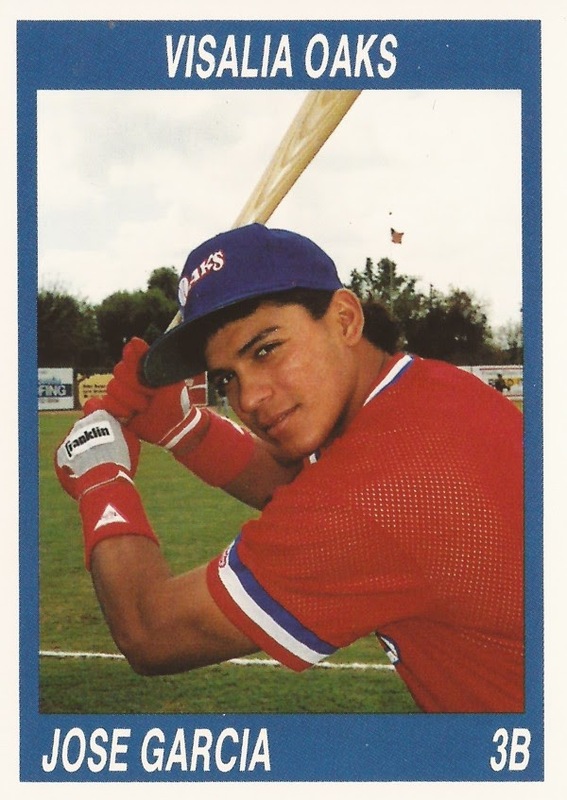 Garcia played in three games for the Twins AAA club in Portland in 1992. But it was also after that year that Garcia was given his release. With Pawtucket in 1993, Garcia stayed healthy enough to play in 96 games, hitting .260. He didn't get called up to Boston. And he didn't get another year as a pro. His career ended after six seasons, without making the majors.